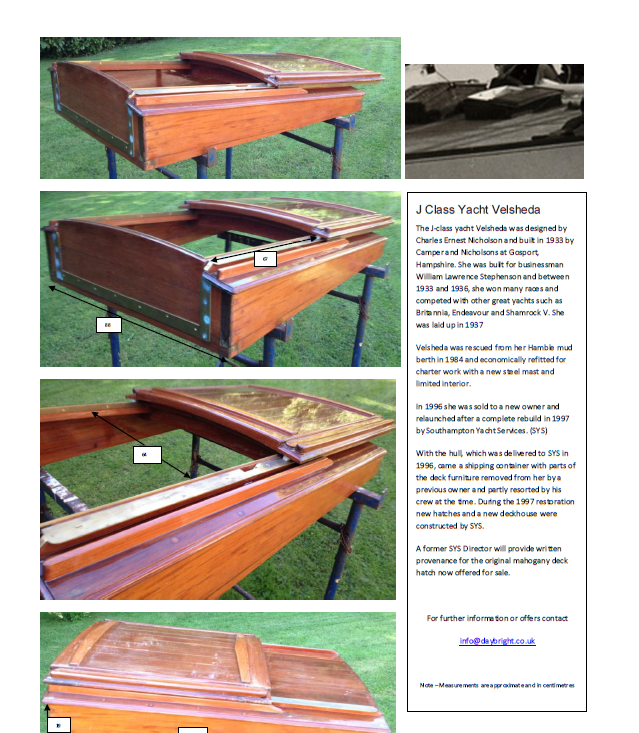 It’s amazing what comes up when you write a weblog like this… I thought someone might be interested in acquiring this little piece of J Class history. Peter Davies was for many years sales director for Southampton Yacht Services, and was involved in rescuing many fine old classic yachts for refitting by the yard – and along the way accumulated a few interesting items. Here’s one that’s for sale – legendary J class racing yacht Velsheda’s original hatch, replaced in her major refit a few years ago. Velsheda was designed by Charles Ernest Nicholson and built in 1933 by Camper and Nicholsons at Gosport, Hampshire for businessman William Lawrence Stephenson. Between 1933 and 1936, she won many races and competed with other great yachts including Britannia, Endeavour and Shamrock V. She was laid up in 1937. I don’t follow racing by choice – I’m interested in the technology but can’t bring myself to care who wins. But even I know that the America’s Cup seems to be endlessly controversial and often seriously troubled. 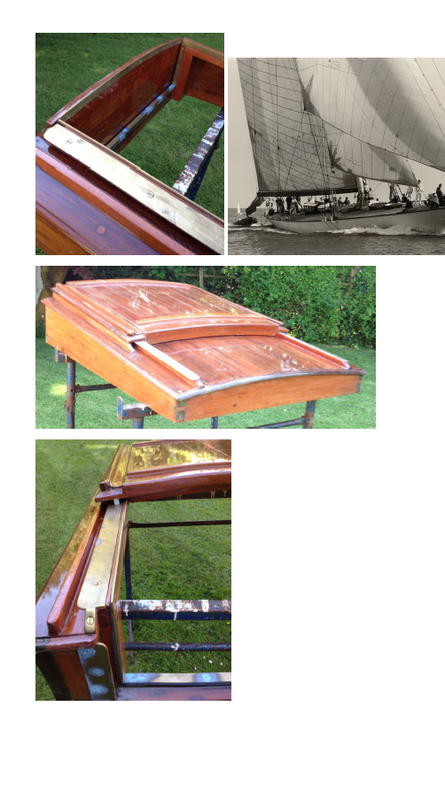 My thanks go to boat designer and home boat building guru and sailmaker Mik Storer. ‘The 35th America’s Cup series will be staged in Bermuda in 2017, and already the first team – Ben Ainslie Racing – is starting to settle into its base in the islands at the beginning of a developing process which, it is hoped by locals, will contribute significantly and sustainably to an economy which is by no means as prosperous as the popular image of Bermuda would suggest.